Finally the fun stuff has arrived. Season 2019 will kick off on April 13th at Balaclava Park in Vancouver. The West Coast Saints will begin their premiership defence against the Burnaby Eagles at 11am and the Vancouver Cougars will take on the Seattle Grizzlies at 1pm. 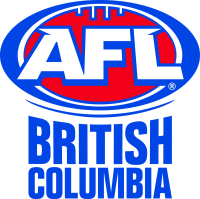 The day will close out with an intra-club match for the Vancouver Vixens in the AFLBC Women's competition at 3pm. Post match we will hold our season launch party at the Beaver Bar on Granville Street at 7pm. Everybody is welcome to come out and join in as we celebrate the beginning of the season, the results of the day and the wonderful game of Aussie Rules in general.